I picked this up in October when I was in Denmark. It’s a nice book filled with lots of nice pictures. It details how they met, their wedding, the children, and their work over the past ten years. If you have followed them for the past ten years, there is next to little new. If you haven’t, or am new to royal watching, the book gives a nice overview. Another review comments on how the book tries to show their everyday life. 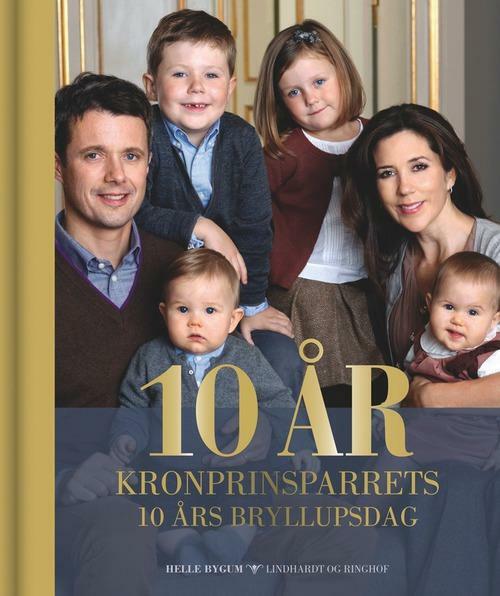 The down-to-earth of making breakfast for the children, and picking them up at daycare, but gloss over the details that doesn’t necessarily show the family off as the down-to-earth Danes that just happen to live in multiple palaces – such as the nannies. Overall, the writing gets a bit sugar-sweet, but as an overview it is a decent enough book.